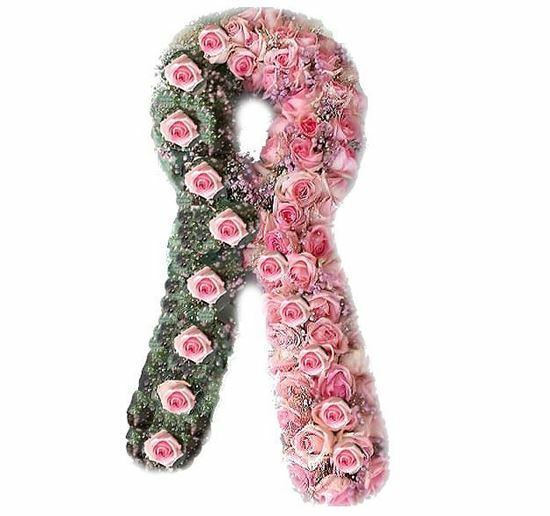 Breast Cancer Ribbon Casket spray with pink roses and eucalyptus-90 cm. 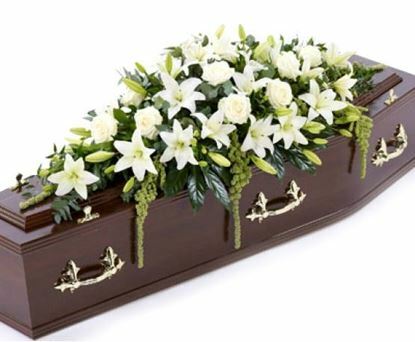 Elegant casket spray in 3 sizes and with possibility of different colours. Lilies, Roses, Amaranth, greenery and much more. Modern casket spray with icelandic roses in 3 sizes and possibility of many colours. 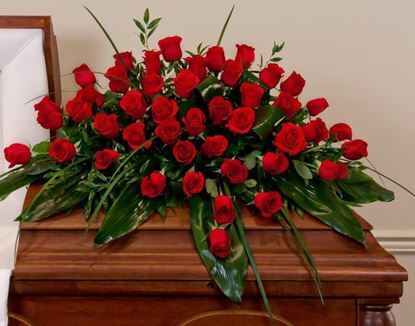 Contemporary casket spray with many red roses, aspidistra leaves, ruscus leaves and more. This casket spray is a beautiful tribute for a loved one. Delivered directly to the funeral home or Church.